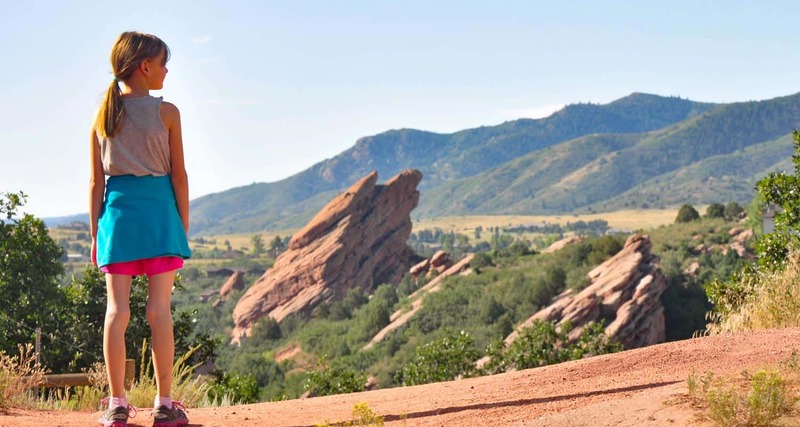 The trails of South Valley Park are perfect for an after work hike or run in South Denver. The expansive valley near the neighborhood of Ken Caryl is enclosed on its eastern side by the exposed red rock formations of the hogback and the green foothills to the west. Views to the south are incredible, making South Valley Park especially enchanting during the early morning hours and at twilight.. Explore the full hiking profile below for full trail details, driving directions and more. Red Rock towers along the eastern wall of South Valley Park and the foothills begin to the west. Almost 1000 acres of meadow and rock offer a near perfect escape from the sounds of the city. The time lapse below shows a great example of a South Valley Park sunrise. 6 Trails wind through the park. The best place to start is with the South Valley Park Coyote Song Trail. It’s a an out an back trail that takes you right through the main meadow. It also connects with the Swallow Trail to form a loop, making your hike about 1.8 miles. The Lyons Back Trail takes you from the Coyote Song Trail and up over the red rock where you can hike trails developed by the Ken-Caryl Ranch foundation. For a full list of trails, go to the Jefferson County Parks Trail Profiles for this park. Don’t miss the Coyote Song Trail: The sunsets are wonderful and the park tends to be quiet in the evenings. 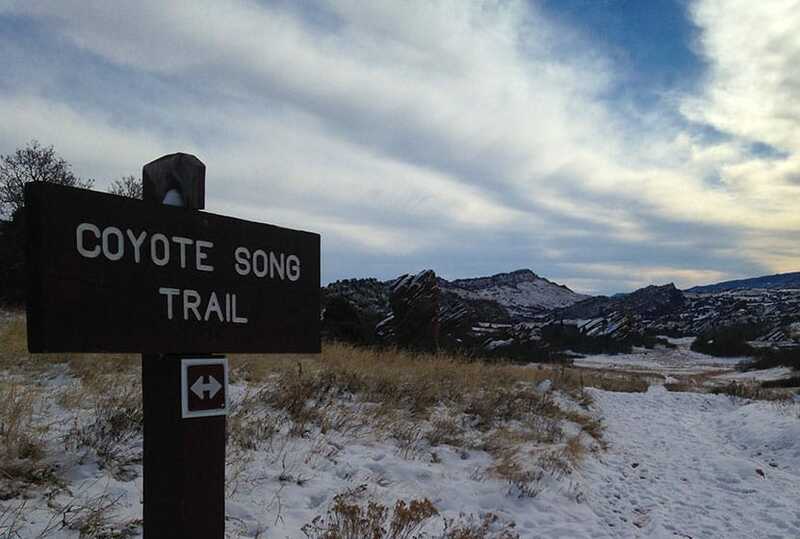 The Coyote Song Trail is a great way to begin or wind down the day. TIP: The Parking area on our map link is the larger of the two. However, you can also begin at the south lot off of Deer Creek Canyon Road. Click here for directions. This gives you a closer connection to the Elk Grazing Trail (seasonal) area and Deer Creek Canyon Park. TIP: The red rock calls to be climbed, but climbing is prohibited in this park. This was really a nice day hike! Super easy loop with great scenery took maybe 1.5 hrs with stops for photos and water. Definitely worth your time! This was a great and easy hike, even with the packed snow. Lyons spur trail was a nice view. Will come back for sunset as soon as I can. Thanks for the suggestion. Does anyone know how muddy this trail is now after all the snow melt? We’d like to go tomorrow with our 3 y.o. but are worried about mud! We’ve hiked there several times when the snow is melting and the trail was just fine. However, it all depends on how much snow, and how rapidly things are melting off. Another beautiful trail for everyone, easy for kids who are stable on their feet. A great after work hike indeed! I’ve hiked these trails several times after five pm before heading into traffic and taking the commute home. Great hike, easy. If you want to make it a bit harder park in the South parking lot and travel the path headed North. South to North starts with a hard hill, followed by a medium hill, then it pretty much levels out the rest of the way (some small hills). This is a wonderful place to hike, even a nice one for kids. Thanks for the tips, though. They would be really a lot helpful for me on my next ride. Caution on hot days – there is almost no shade and the sun is brutal. Bike trails have extreme ruts in them. Beautiful scenery and nice exercise – will go back when it’s cooler! I visited this park on 02/20/2017. My five-year-old Beagle had the time of her life. It’s an easy to moderate hike. Beautiful scenery. Go early!!! So many bikers by noon. Thank you for this website and the information.